Right in the heart of Sydney - just five minutes from Central Station and light rail network. Sydney Harbour, Darling Harbour and Hyde Park are within walking distance, with Chinatown on your doorstep. You don’t pay for an entire room that’s likely to sit empty while you’re out exploring – enjoy a secure, private place to sleep and put the money you’re saving towards once-in-a-lifetime experiences instead! 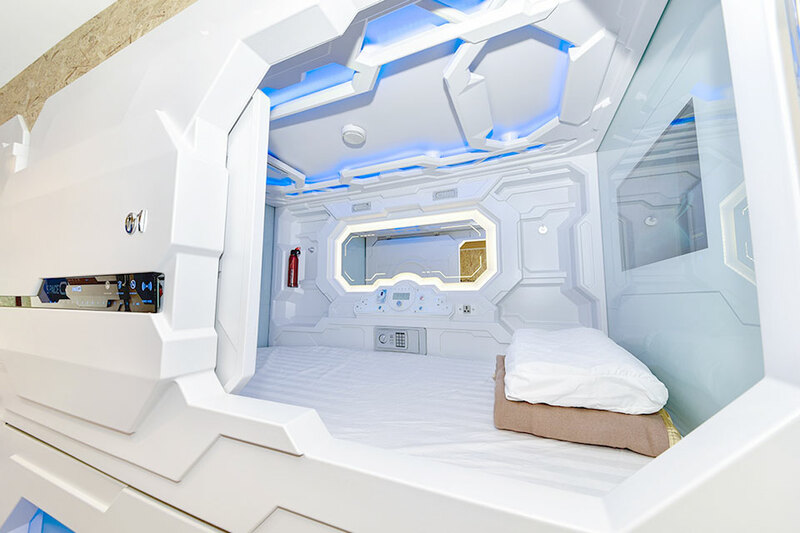 At Space Q Capsule Hotel, we’ve created a modern, futuristic feel supported by the latest technology that’s sure to have friends and family asking if you’re staying in a spaceship. With your own secure, you can sleep easy knowing both you and your belongings will always be safe. Only guests can access the shared social spaces and bathrooms. Boasting ultra-modern single and double bed capsules, we offer a friendly reception desk and your choice of capsule on different floors. Each capsule is equipped with the latest technology, including multiple USB charging ports and power points. Accessed using a private keycard, your capsule allows you to control the air ventilation and store small personal items in an in-capsule safe. Larger pieces of luggage can be stored in a secure locker or with our friendly receptionist. 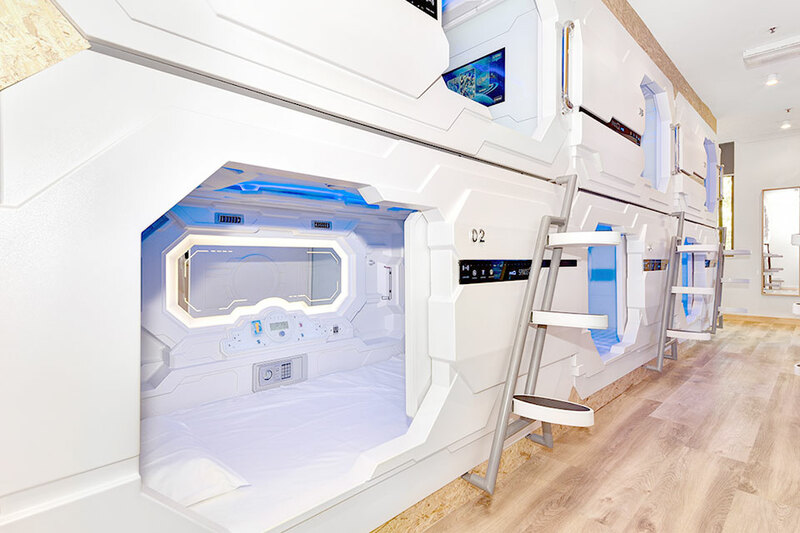 With internationally renowned attractions including Chinatown, Darling Harbour and Hyde Park on your doorstep and excellent transport connections – Central Station is a five minute walk – experience the next generation of fresh, affordable accommodation at Sydney’s Space Q Capsule Hotel. When it comes to staying in Sydney, location is everything. 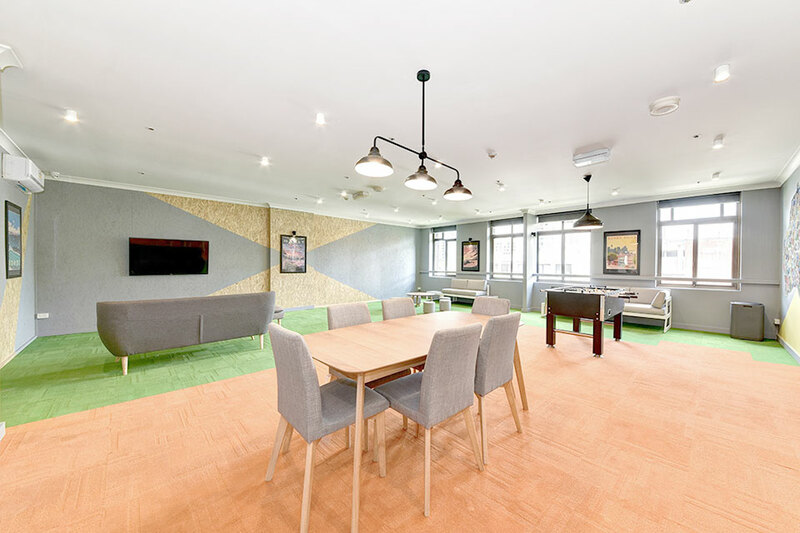 We handpicked our site at 752 George Street, Haymarket, for the Space Q Capsule Hotel as we truly believe it delivers the ultimate in location for our guests. Nestled in the heart of Sydney, we’re an easy five minutes walk to Central Station and just around the corner from the new light rail network. 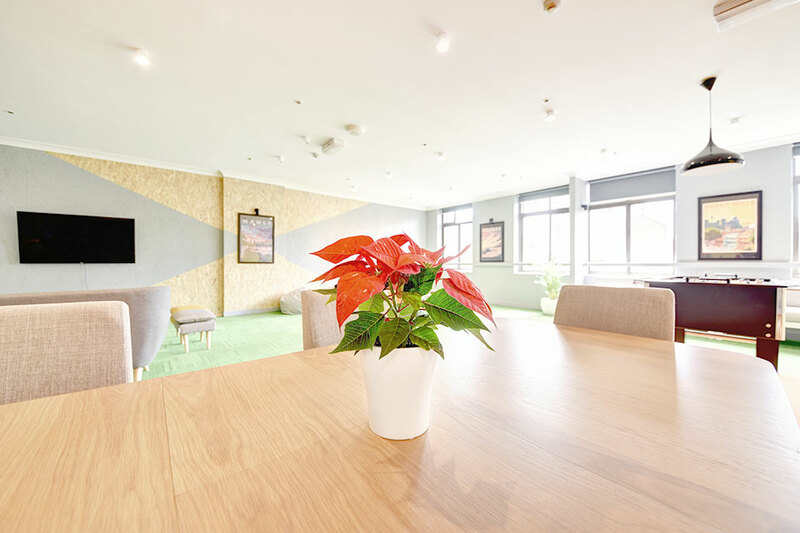 With outstanding transport links and some of Australia’s most iconic tourist attractions and areas on your doorstep, we’re confident you won’t find more convenient, cost-effective accommodation.